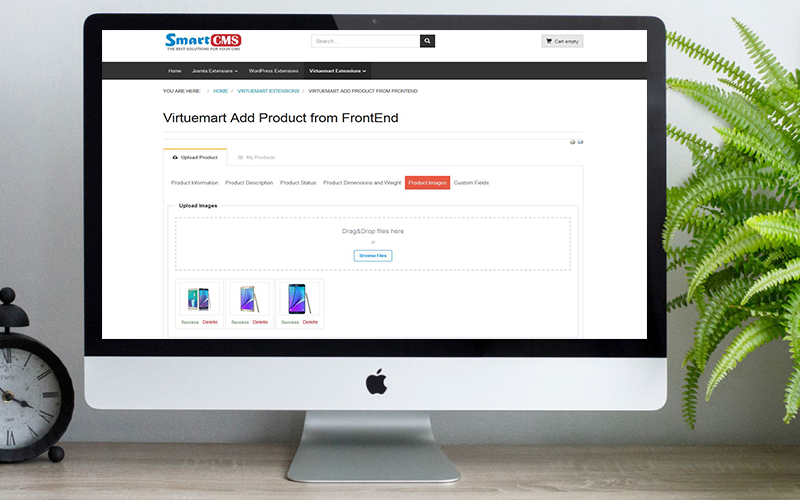 Welcom to Joomla Virtuemart Add Product from FrontEnd. 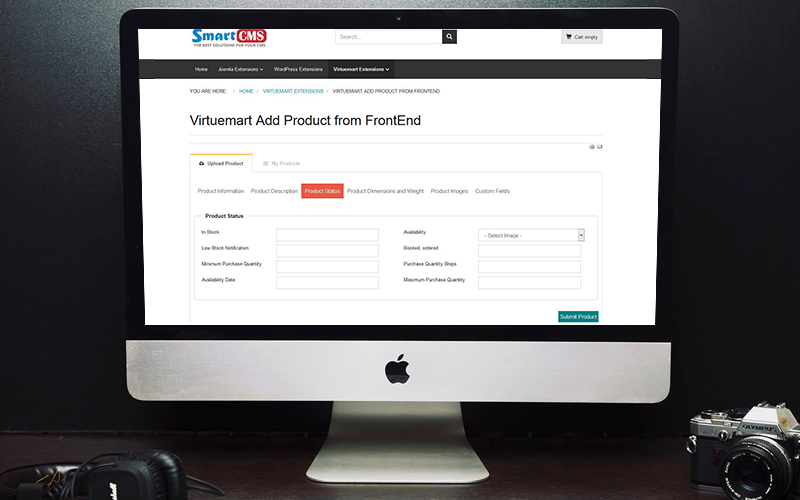 A handy tool helps to add Virtuemart products from frontend. 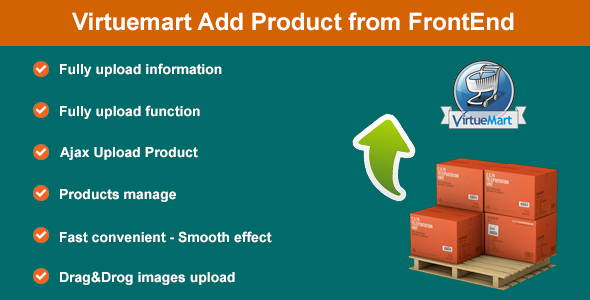 A lot of Joomla Virtuemart users want to upload a product from the front end, they need a plugin that enables their customers to upload products meanwhile administrators can approve uploaded products and display them on the site. You can use the plugin as a market for the vendor upload their product from FrontEnd. Users can enter the information for the products with full data and functions similar backend, upload images using ajax and submit products by ajax. The Vendor can be manage their products, list of products, remove product. Very fast and convenient, just install and activate it, users can add products from the frontend.